Today’s look for less is one incredible discovery! 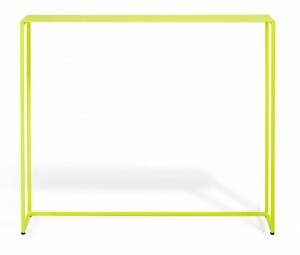 ABC Home is one of my very favorite sources for unique, high end furniture. The only problem is all their uniqueness comes with an equally high end price tag. 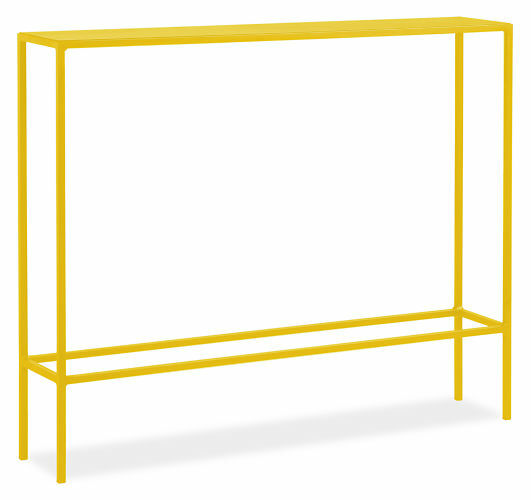 But, today I found a console table from Room and Board almost if not equally as cool as the Uhuru Yellow Console from ABC Home that I have been coveting. 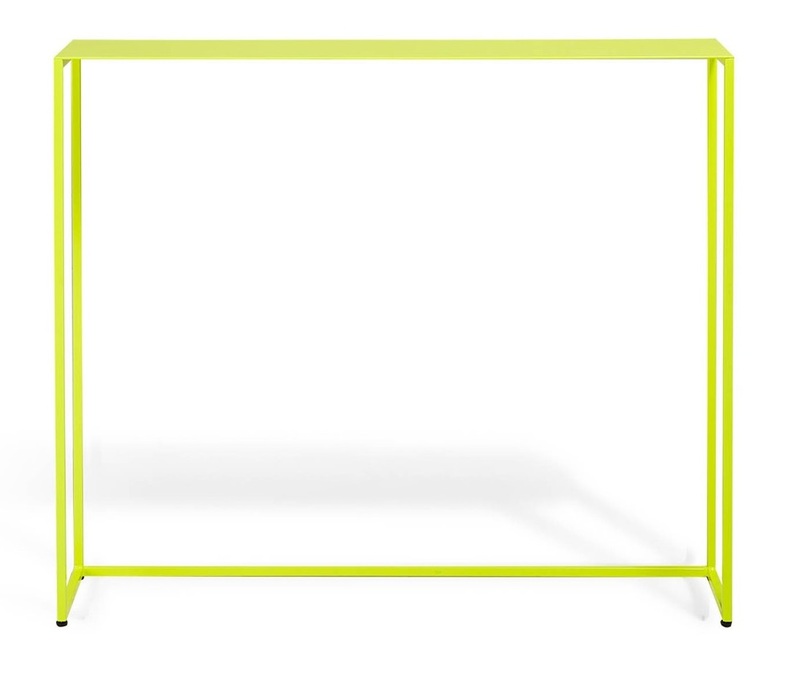 The ABC Home console is made of powder-coated steel and costs $1,895.00. 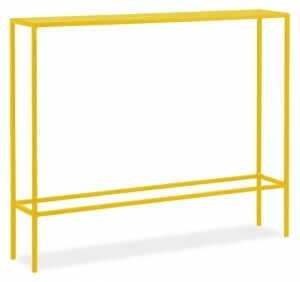 The Slim Console made by Room and Board is also made of powder-coated steel and is a steal for only $219.00.